Customized ribbon with your business logo Archives - ThirtySevenWest ThirtySevenWest - Creative ideas about personalized custom ribbons, woven tags and labels, personalized gifts and more!!! If your promotional events are unable to generate buzz around your brand, take a moment to ask yourself what you could do better. Most companies tend to blame their failure on a small budget; others, on lack of organization or planning. On the other hand, there are also numerous cases of small businesses hitting a home run with creative marketing strategies, and big companies reinventing themselves by doing something out of the box. Custom ribbons may seem like a small way to add some festivity to your event. But with a little bit of imagination, you can turn them into a powerful marketing tool to connect with your audience and make a memorable impression. You can’t have an event without chairs, right? Adding a personalized touch in the shape of a custom logo ribbon can instantly enhance your décor. Consider tying one around the back of each chair to add your logo to as many places as you can for some authenticity in décor at the venue. This is also a great way to color-coordinate with the overall theme of the event. If you prefer something more formal or “corporate”, you may also opt for a classy single-ribbon bow. Whether you’re event is big or small, casual or formal, you will most likely arrange for a backdrop to draw attention to your organization / theme of the event. Now’s your chance to show some creativity! Adorn your stage with some fancy custom logo ribbon to add a dash of personality and pomp to the set-up. All eyes will be on the stage, so give them something to look at! A lot of promotional events arrange for giveaway items in favor bags. 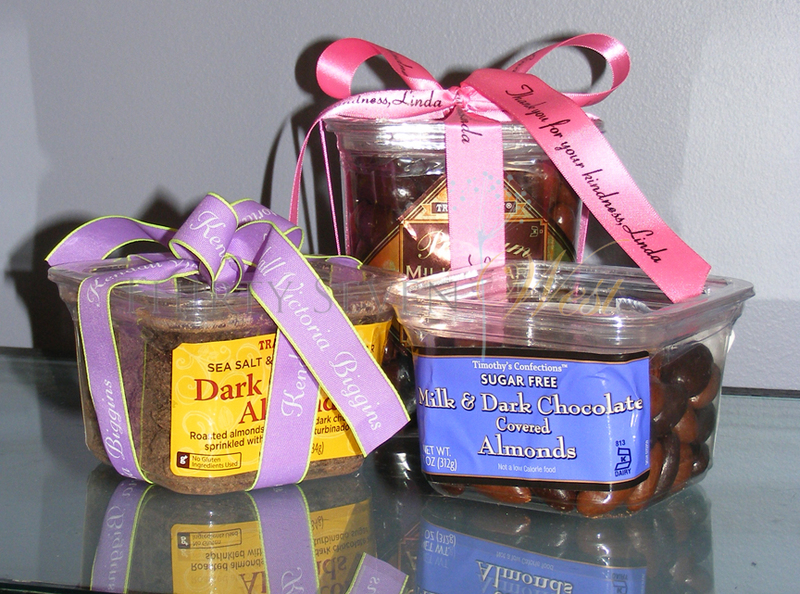 Instead of handing out these products in a plain and simple bag, or investing in expensive gift baskets for each attendee, simply add a luxury satin ribbon with your company logo and make them POP! You can also put in a personalized message with your logo to make your guests feel truly appreciated for their participation. Not only will this make your giveaways more authentic and special, but create a wonderful and warm experience that attendees will associate with your brand. This is a great idea for a number of reasons. A cost-effective tool to decorate the table while showcasing your attention to detail, a gorgeous custom ribbon can add a subtle promotional touch to your centerpiece without being too loud or in-your-face. Last but not least, the final touches. Consider tying a ribbon around napkins, candle holders, vases, and especially the nametags worn by you employees and event staff—all the small details that make your event unique! We’re proud to design and distribute a wide range of custom logo ribbons to a plethora of businesses. Check out some of our products and order some free samples today! In marketing, making the initial connection and following up with customers is key. Research has found that it often takes 6-8 interactions with a company before a customer makes a purchase. So, sending one email or making one phone call to connect with a customer may simply not be enough to move them to buy. Finding personal and non-invasive ways to stay in front of your audience is key to driving sales and not missing out on an opportunity to gain a loyal customer. According to a recent Accenture study, 75% of customers are more likely to buy from a company that personalizes their marketing messages. So, whether you have handwritten thank you cards, customized gifts to send to prospective customers, or update your email greetings to include a first name, these can all be effective ways of connecting with your customers on a more personal level. The days of sending out mass-produced and generic marketing materials and messages may be numbered. Customers want brands that speak to them as individuals, that are well integrated into their lives and brands that can empathize with the human experience. Global brands are moving toward personalizing every customer touch point to not only provide a high level of convenience but to also let their customers know that their business is valued by the company enough to go the extra mile and send a “thank you” note or a courtesy “check-in” call. For repeat or long-time customers, reaching out with custom gifts can be a great way to keep your brand relevant in their lives. Even leveraging unique and personalized wrapping for gifts or giveaway baskets can be the added touch your marketing items need to give your customers the personalization they have come to want. To explore how personalization can help better position your brand in front of your customers, click here. Custom logo ribbons can add a hint of decorative flair to everything they touch. 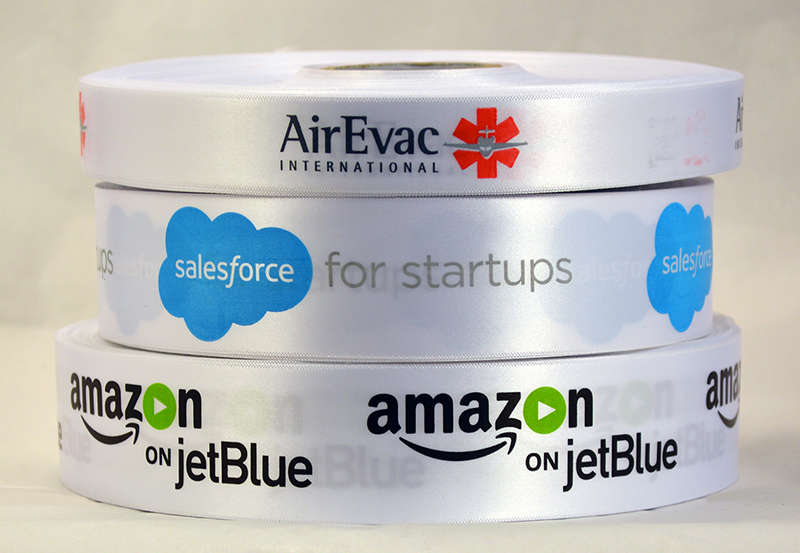 Check out how one of our clients made it big with custom logo ribbons. Let us tell you a story. A couple of year back, we were approached by a local business. Let’s call them the Jays. The family had just begun selling freshly baked goodies and wanted to make their place in the market. They wanted people to know about their business, but the problem was that there were already two bakery stores serving the small local community. These stores had been around for a while, and people headed straight to either one of them to buy fresh-out-of-the-oven cookies, bread, bagels, croissants, and other delicacies they sold. Now, with two bakeries already operational in the vicinity, why would people choose to buy baked items from a newly started home-based business? Unless this business made people notice them. Well, that’s exactly why this family had shown up at Thirty Seven West. They had a plan. They wanted ribbons. Not just any ribbons, but custom printed ribbons. So, the Jays placed their orders. 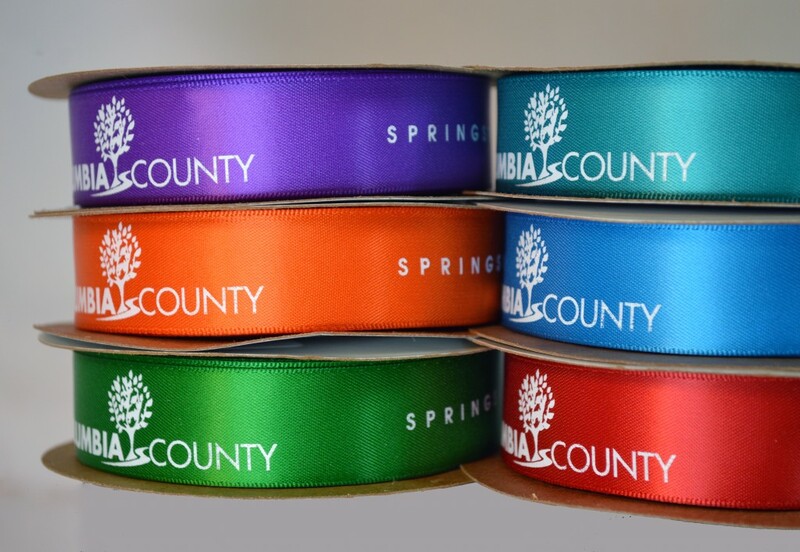 Bulk quantity of customized ribbons in three different colors – with each set of ribbons personalized with special text and the business logo. We, at Thirty Seven West already knew that this business was only just starting. It was also understood that they wanted to aggressively promote their start-up to kick-start their operations. Anyway, let’s get back to the story. Once the orders were placed, we lived up to our commitment to design, print, and deliver the custom logo ribbons to the family on time. After that, we didn’t hear from or about them until 5 weeks passed. I was standing in line to get a latté from my favorite coffee shop. That’s when I overheard the women behind me discussing the cupcakes from Jays one of them had ordered for her daughter’s birthday. I was further surprised to hear that they would be ordering more baked goodies from the business in the future. My curiosity was piqued. I wanted to know more. Luckily for me, the Jays came in with their next order for custom printed ribbons. That’s when I found out what they’ve been up to. Apparently, the business used the custom logo ribbons to create the perception of “homeliness” for their goods through thoughtfully packaged and presented baked goods that carried messages like “baked with love, by Jays”. Custom logo ribbons actually work! This family took their little known home-based bakery and made it into a recognized freshly baked goods brand with selectively designed ribbons. They capitalized on the power of perception and presentation to win people over. They added that personalized and homely-feel element to their baked goods, making everyone see their product as a reflection of the love and care one receives at home. Today, this local business is a household name in the community. Yes, the other two bakeries are still operational, but this family-owned business is definitely winning at popularity. You could have that too – just place bulk orders for custom logo ribbons for your business today! Custom ribbons are the latest trend in luxury store branding. Find out why this trend is so popular among businesses these days. When it comes to creating a luxury brand image, companies usually end up spending hundreds of thousands of dollars on it. With a luxury strategy, you aim to create top brand value for a very specific clientele. Luxury brands are all about prestige – businesses leverage various elements of singularity. Every one of us, at some point or another, come across products that boast “limited edition”, “handmade”, “heritage”, and even expert craftsmanship to emphasize their exclusivity. Regardless of which element you wish to capitalize on, a greater part of promoting a luxury image of your brand is connected to the way you package your products. When you’re targeting a prestigious clientele, you need to go the extra mile to provide great value for money in every aspect – and that includes packaging too. Where previously businesses spent a fortune on ensuring their product packaging is luxurious enough, the world today, is moving towards newer trends. These trends are affordable yet sophisticated enough to enhance brand image and value. Probably the best thing about custom ribbons is that they can be customized any way you want. Whether you’re looking for ribbons with your signature company design on them (sort of like the Burberry check or the Luis Vuitton design) or want custom ribbons with the company logo on them – you get to choose it all. Pick your colors, materials, designs, and even the ribbon size that will personalize your product packaging and add a finishing touch to it, while still keeping the product – stylish, high-end, and exclusive. Presentation is everything – especially if you’re marketing your brand and products to an exclusive market. Impressions are made at first look. When people come to buy your products they expect a premium look and quality for the premium prices they will be paying. 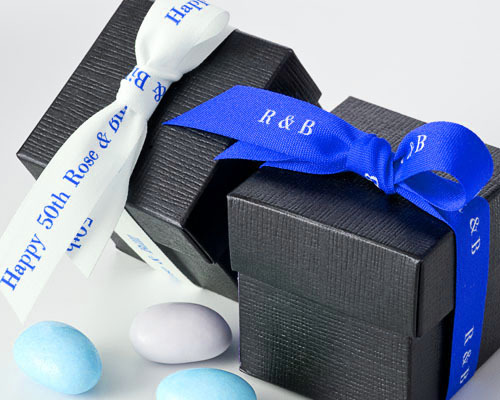 Custom ribbons can upgrade even the simplest looking packaging to one that is elegant and luxurious. Plus, it could cost less than what you’d otherwise spend on exclusive packaging to promote your brand image. 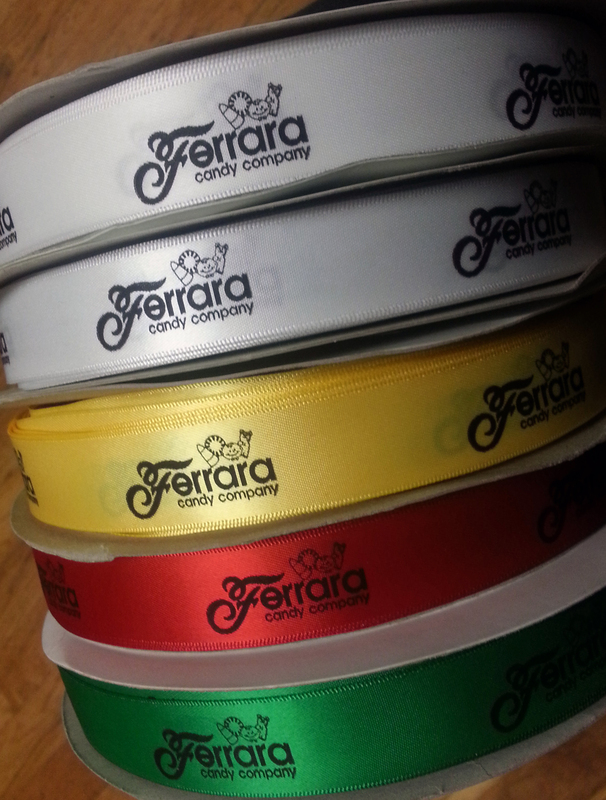 Buy custom ribbons in bulk to reduce your costs further, while still making an influential market statement. Another interesting thing that makes custom ribbons so popular in luxury store branding is the fact that they’re versatile. You can use these ribbons absolutely anywhere at all – it doesn’t have to be restricted to product packaging. These ribbons could be used as an effective marketing tool to promote your brand image as part of corporate gifts and giveaways. There are a myriad of ways you can utilize custom printed ribbons to promote your business. Whether you’re aiming to capture the high-end market or just looking to bring some personality to your products – the right custom printed ribbons can work wonders either way!